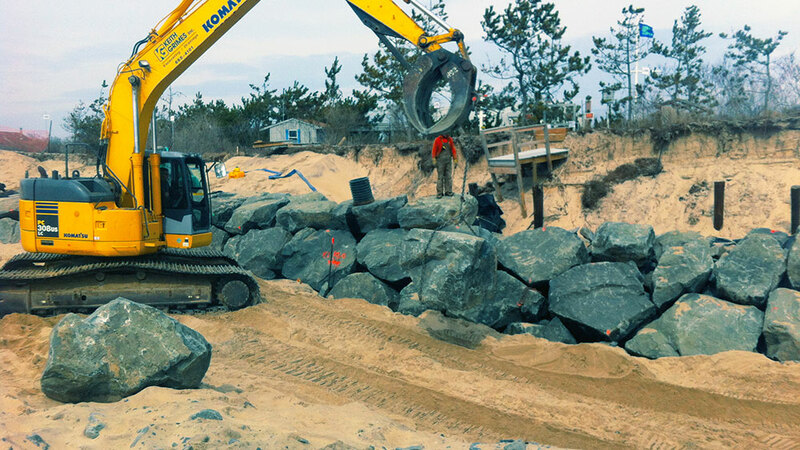 First Coastal designs, secures permits and constructs stone revetment projects. 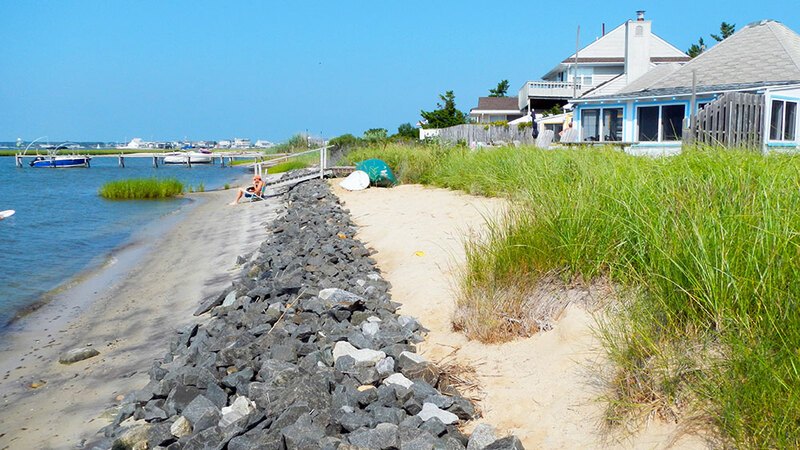 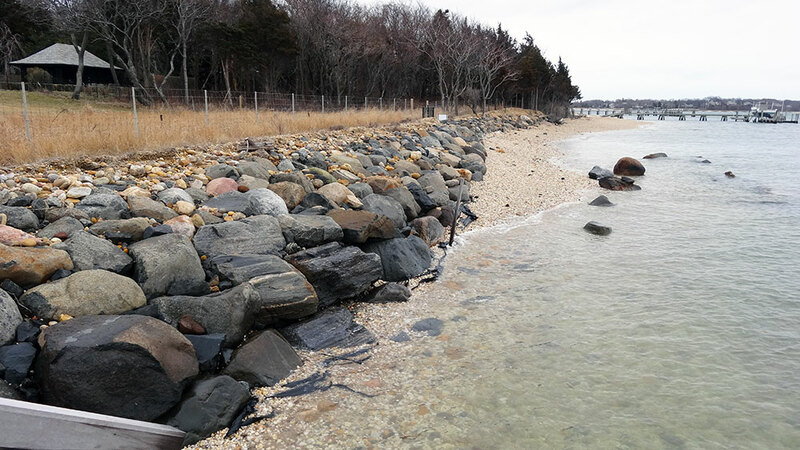 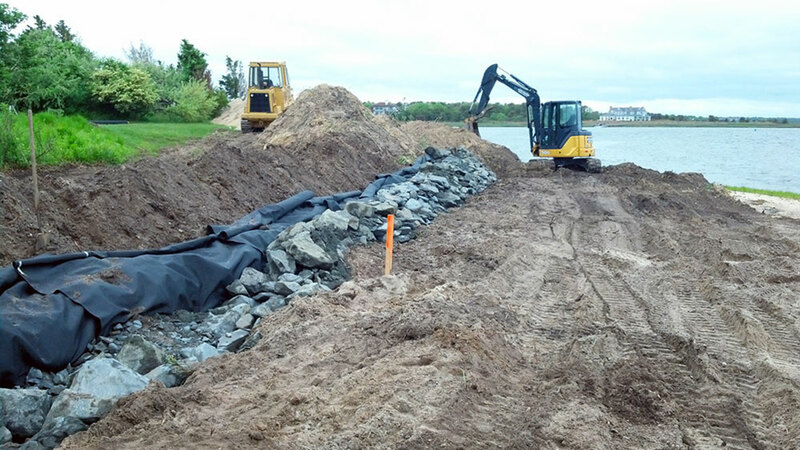 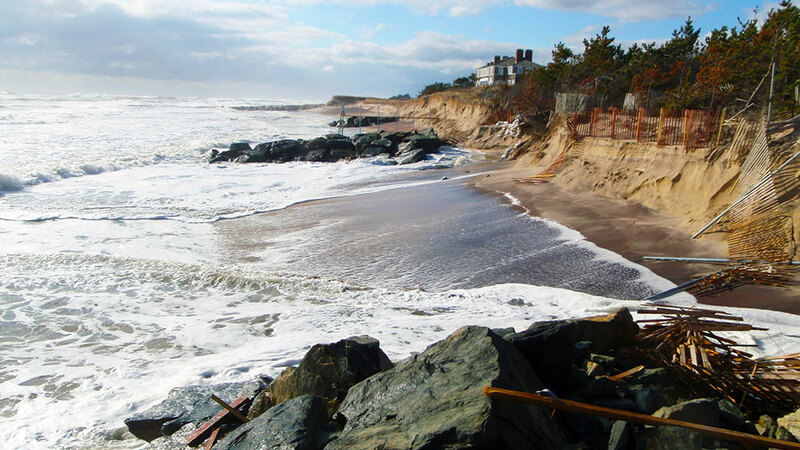 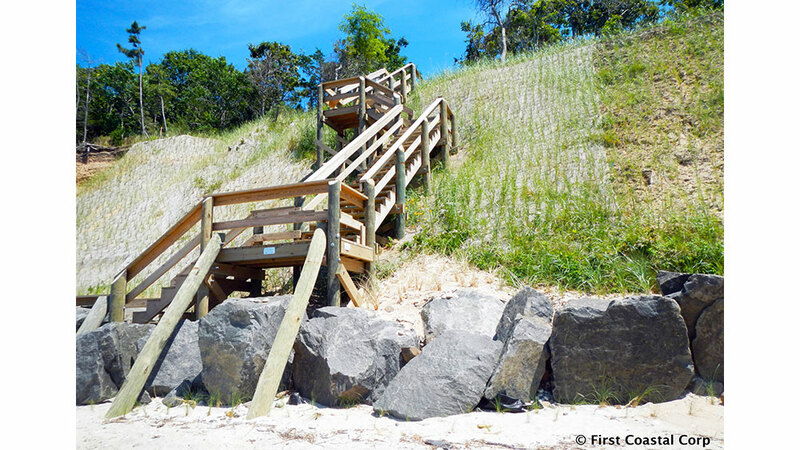 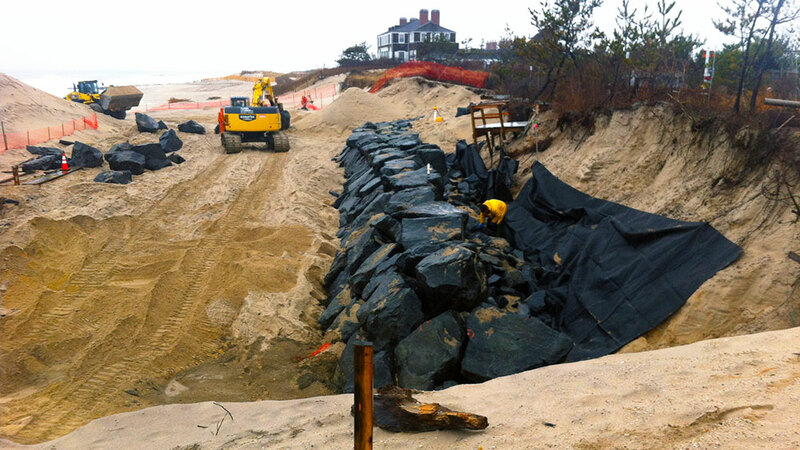 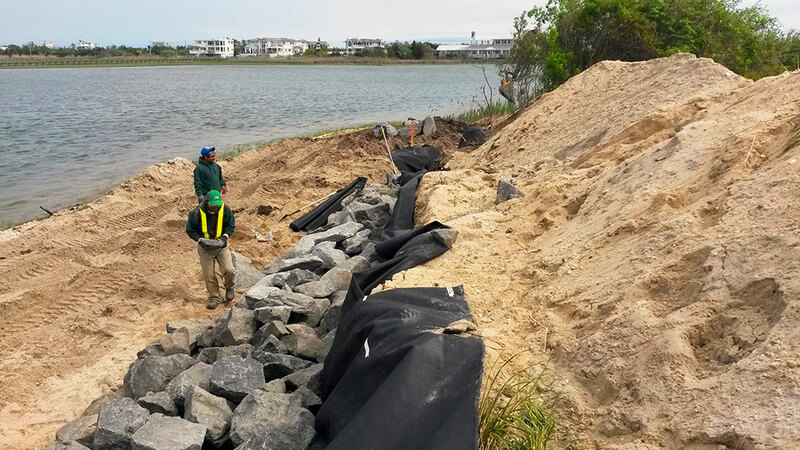 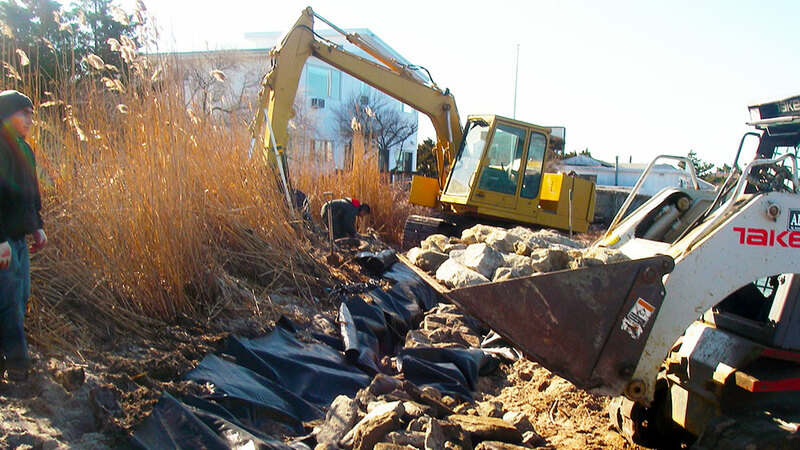 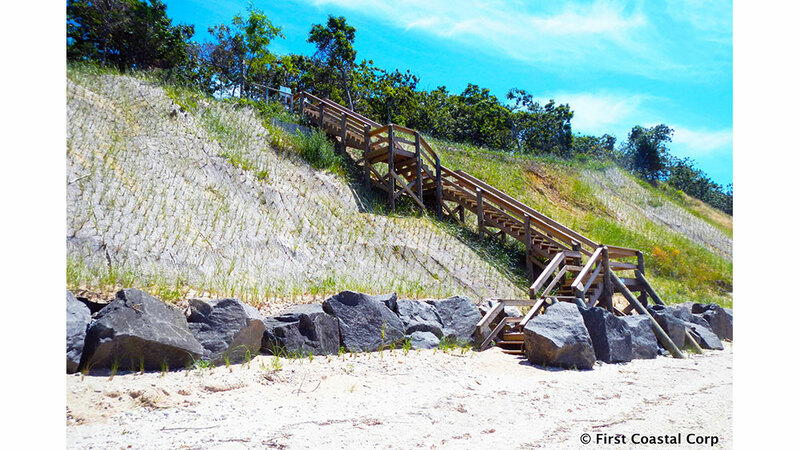 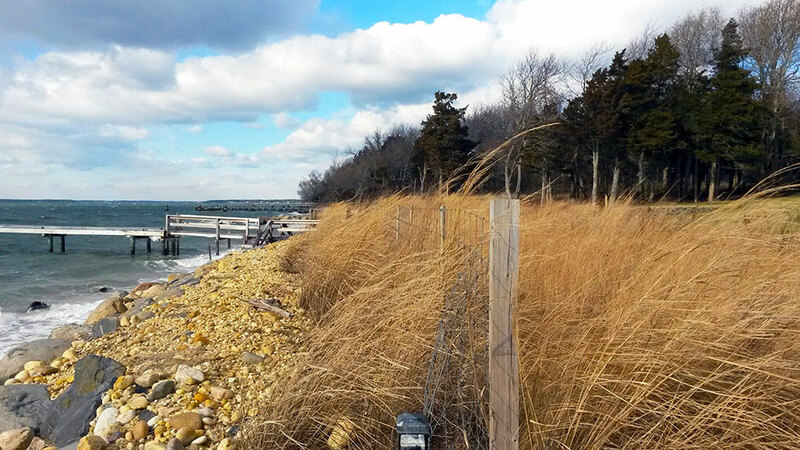 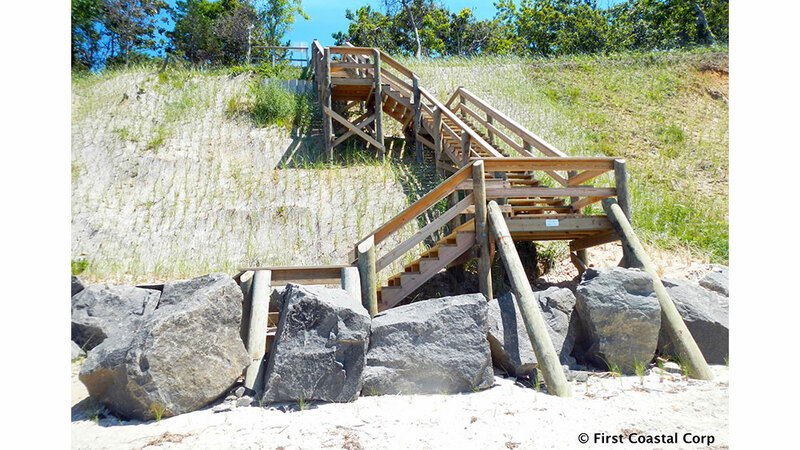 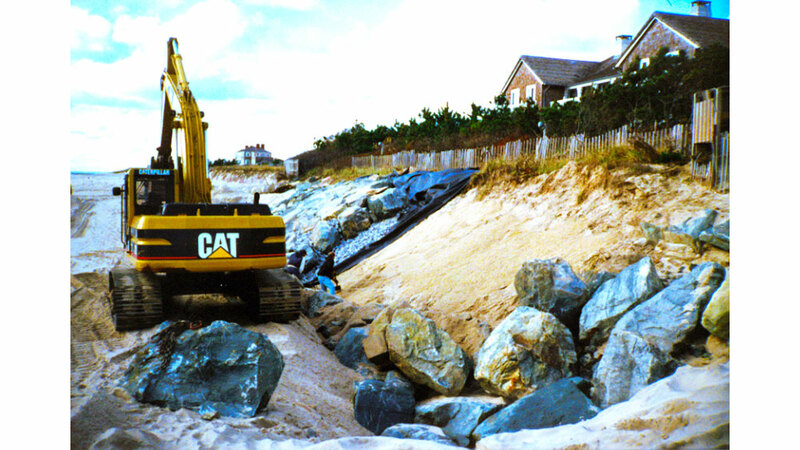 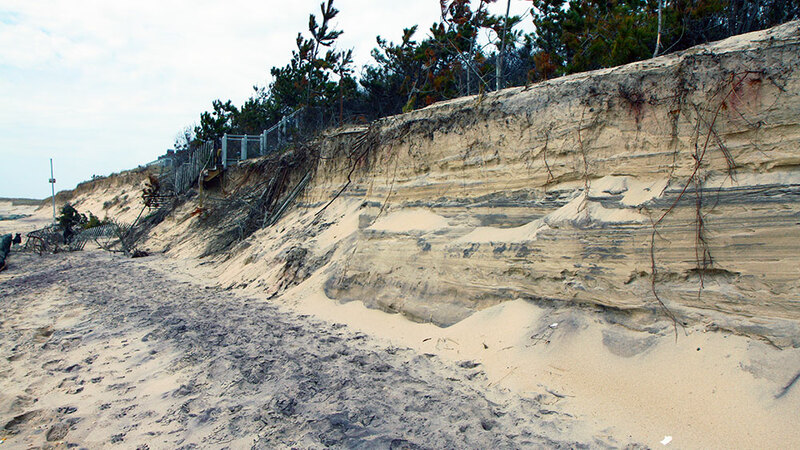 First Coastal’s Stone Revetment projects provide solid protection for severely eroded dunes and bluffs through the installation of a professionally designed structure. 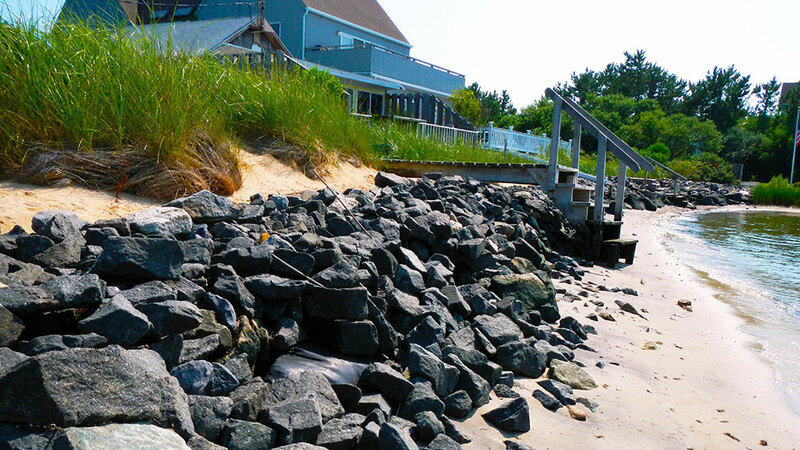 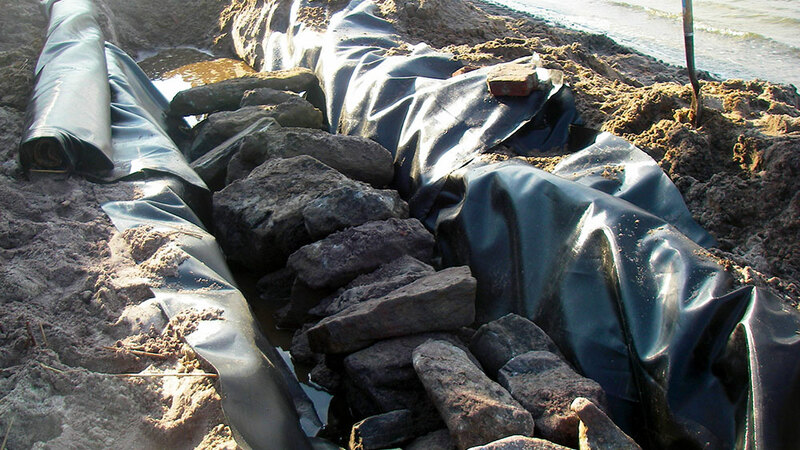 A Stone Revetment is engineered to provide positive protection from direct wave impact through rigorous design standards, while mitigating scour and other adverse impacts to adjoining areas. 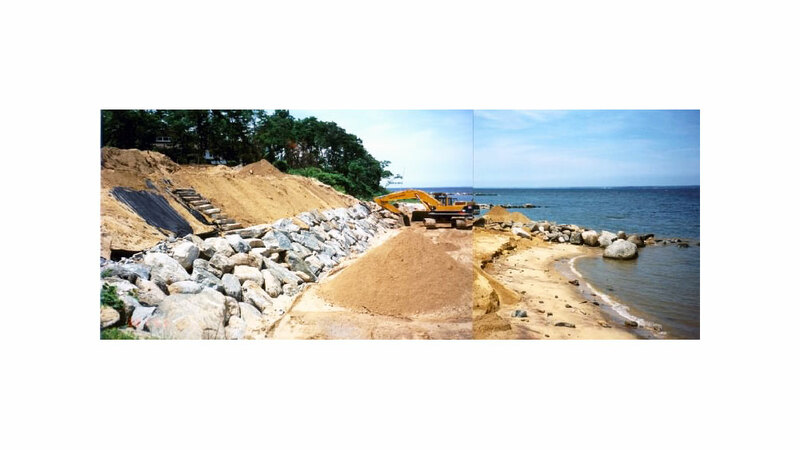 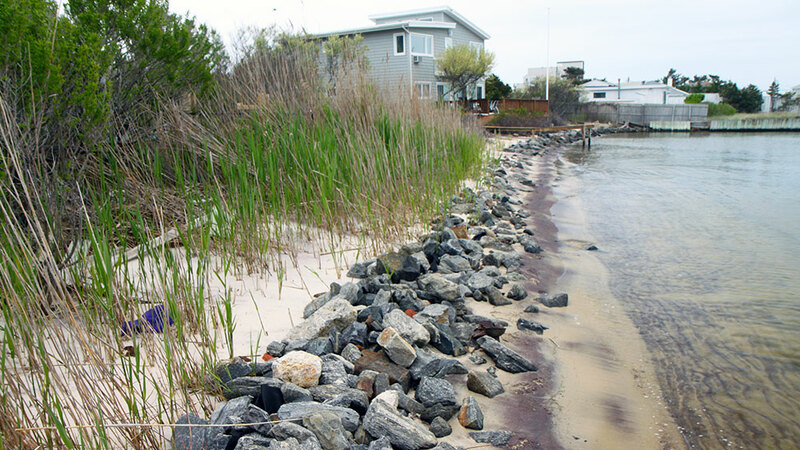 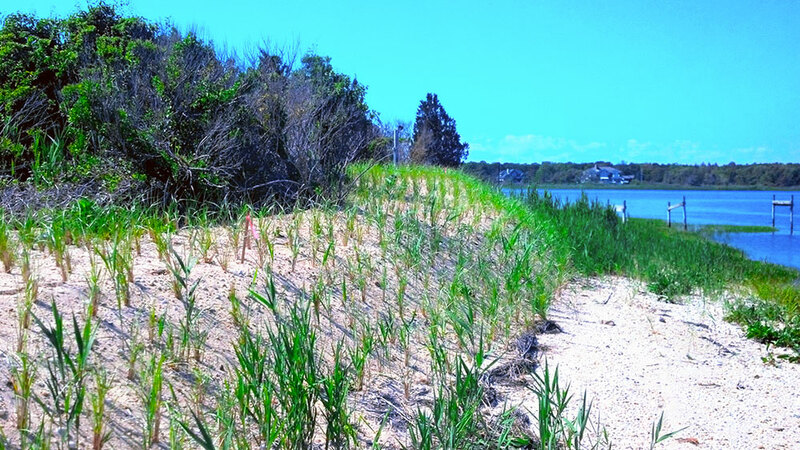 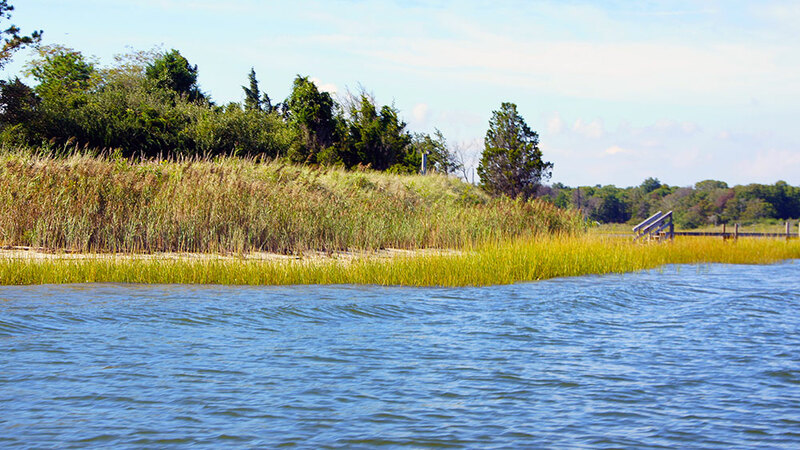 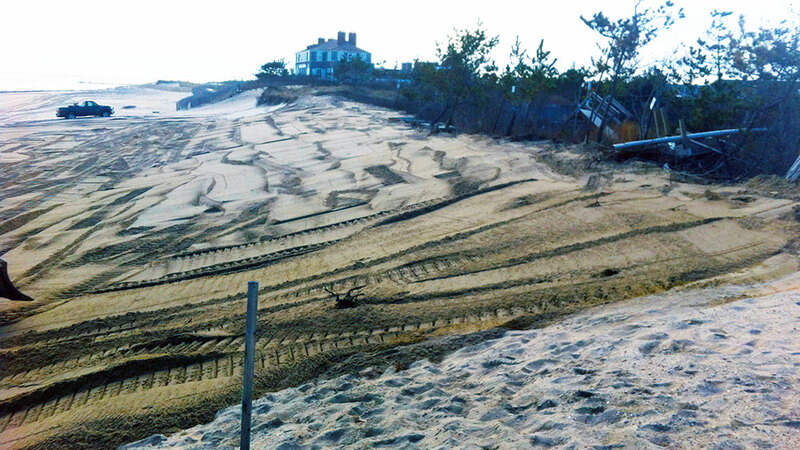 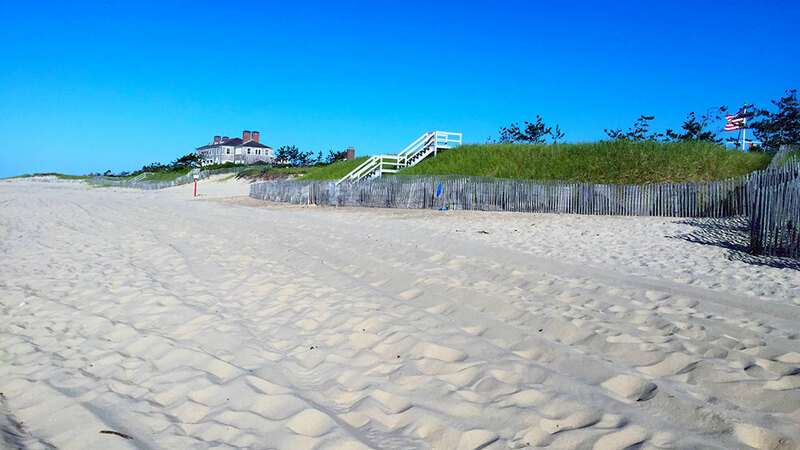 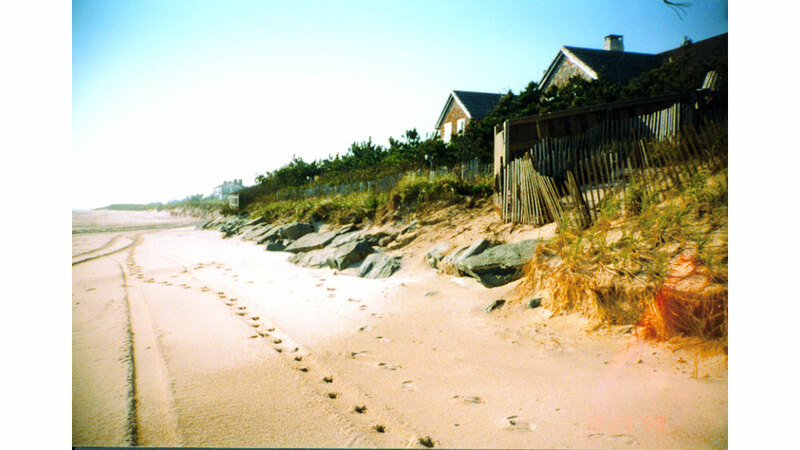 Our design includes overfilling the revetment with sand and planting Beach Grass to further mitigating impacts.